During my many years as a park ranger at Hammocks Beach State Park, I was fortunate to patrol the pristine beaches of Bear Island on an almost daily basis. After piloting a boat across the fickle waters of the sound to this remote Island, I would hop into a truck of questionable reliability and head toward the beach. Driving down a narrow path through the dunes, the vegetation was a stubble of stunted wax myrtle, yaupon and live oak as I neared the ocean. Struggling up the primary dune, the truck sputtered along as I crested the dune and made my way onto the beach. At high tide, the beach would be a narrow strip of dry, fluffy white sand. Each ebb and flow of the tidal waters deposited wrack along the shoreline. Wrack is all of the debris, natural or man-made, that washes in each day from the ocean. 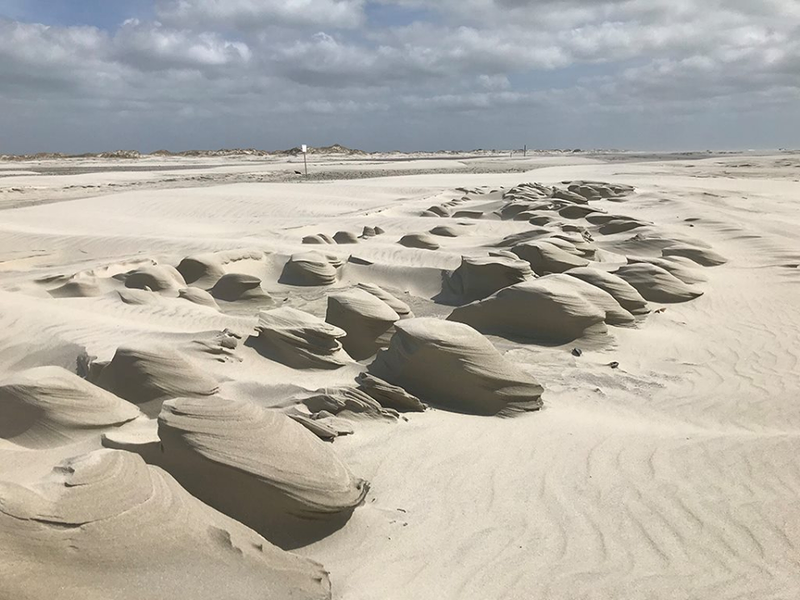 The debris that accumulates at the height of the last high tide is known as the wrack line. This is where all of the seashell hounds stroll, intoxicated by the salt spray, looking for a complete scotch bonnet, sand dollar or lettered olive. During these beach patrols, all of the park rangers patrolled the wrack line as well, but we were not looking for seashells, well, maybe sometimes. We were scouring the beach to pick up all of the trash and other human detritus that washed ashore. All too often, among the glass and plastic bottles, we would find colorful balloons with a long tale of ribbons attached. Sadly, at times, we would find a dead animal, usually a bird, tangled in the trailing streamers. For some reason, we celebrate sporting events, business openings, weddings, festivals and even funerals by releasing hundreds, sometimes thousands, of balloons into the air. Whether released intentionally or not, once a balloon sails up into the atmosphere, they will expand and burst, falling back to earth and onto our lands and into our oceans. This trash is now a potential landmine that can harm, maim and kill wildlife. All types of balloons, latex, mylar or plastic, once they return to earth, either whole or in pieces, is mistaken by wildlife as a source of food. Out in our oceans, whales, dolphins and sea turtles are enticed by these discarded party favors. 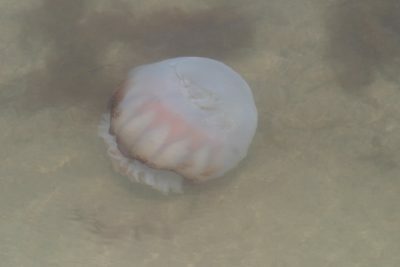 Some species of sea turtles are especially vulnerable as a floating balloon mimics one of their favorite foods, jellyfish. Once balloons or its pieces are ingested, they block the digestive tract causing the animal to eventually starve to death. The long decorative tether ribbon that usually accompanies the balloon acts like a snare that can entangle birds and other wildlife, restricting their ability to fly or move and thus, their chances for survival. As a young child, Lisa Rider learned about these dangers as a volunteer at the Outer Banks Wildlife Shelter. 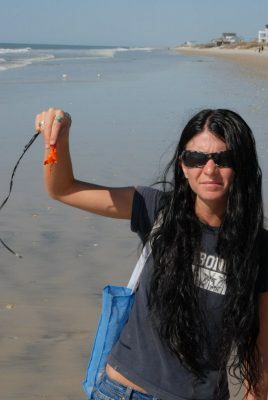 She was shocked to discover the amount of wildlife being harmed by this type of marine debris and decided to take action. This put her on a passionate quest to remove and reduce the amount of marine debris awash in our oceans. 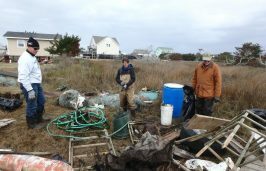 For more than 25 years, Rider has been involved with various organizations cleaning our waterways and shoreline of marine debris. 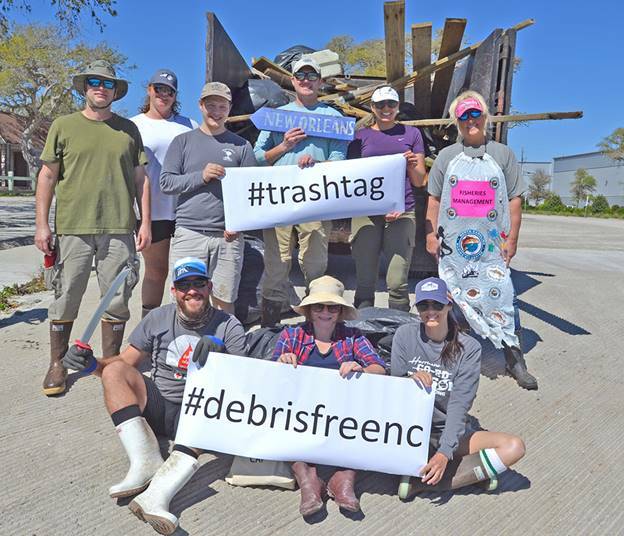 Rider created and implements the Marine Debris Symposium to create a partnership of organizations dedicated to reducing and eliminating all types of debris. 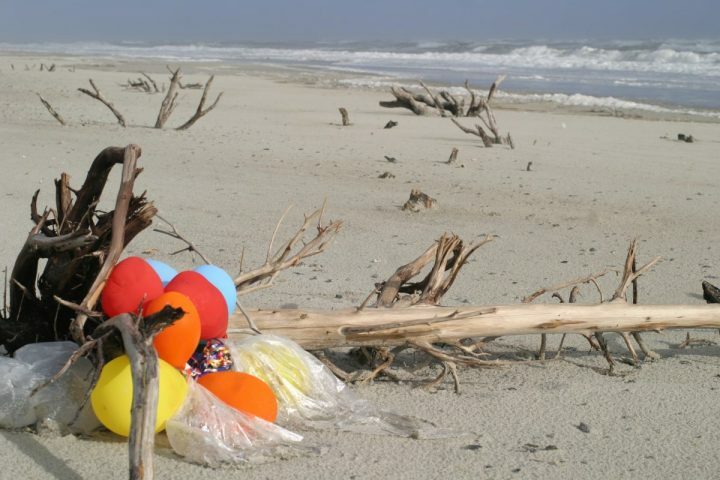 Surveys conducted during marine debris and beach litter cleanups indicated that the amount of balloon litter has increased three fold over the past 10 years. Once balloons are released, they can travel great distances and litter remote and pristine lands. Balloons can take years to breakdown or degrade. Even balloon products marketed as biodegradable or “earth friendly” do not degrade quickly enough to avoid being a danger to wildlife. Some advocates also question the squandering of a finite resource, helium, to inflate these balloons. They feel that this precious gas is best conserved for medical and industrial applications. 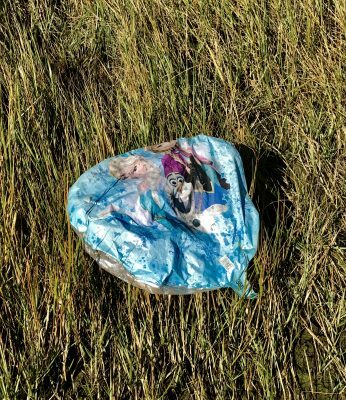 In addition to being a threat to wildlife, balloon releases are littering without consequences. Fortunately, many state, city and local governments recognize this lack of responsibility and have implemented laws prohibiting or restricting balloon releases. Like Rider, other individuals recognize and initiate activities that tackle this problem head-on. Bonnie Monteleone, founder and executive director of the Plastic Ocean Project, created the Blockade Runner Fishing 4 Plastic Tournament, where charter boats go out into the Atlantic Ocean with participants scooping up plastics with nets. And guess what? A lot of balloons, maylar and latex, celebrating graduations, Valentine’s Day, birthdays and anniversaries were pulled from the sea along with their deadly ribbons. Monteleone was surprised to catch so many balloons. “There has to be a more fulfilling way to celebrate activities rather than watching a balloon drift away for ten seconds,” she said. Balloon releases have long been a way to bring awareness to an event. Even though these releases have good intentions, they cannot be a justification for the harmful aftermath. Alternatives to balloon releases are gaining popularity. Events are now using kites, colored lights, giant bubbles and candles as a form of celebration. Memorials can be balloon free while promoting life and living by planting trees or putting up bird boxes. On one of my Bear Island beach patrols, I came across a colorful cluster of balloons at the edge of a sand dune caught in the green dune grasses. Still inflated, the balloons danced around on their tethers in a gentle breeze. I walked over and popped all the balloons then pulled up the strands of ribbon partially buried in the sand. At the end of the streamers was a laminated index card asking the finder to return the card with location information. The information on the card indicated that the balloons had been from an elementary school as an experiment on wind direction. I returned the card with information on the park but also included material on how balloon releases put our wildlife in danger. A few weeks later, I received a package from the school full of colorings of animals along with a pledge to not release balloons. I was delighted. I still remember and have kept one of the colorings. 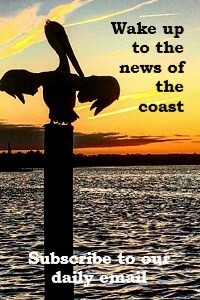 The drawing was of a pelican, a pelican with four legs. I smile just thinking about it.